Wayne Hubbard is doing his part to debunk that silly clichés that black men don’t hunt and fish. After all, Hubbard grew up exploring the wide-open spaces of northern Oklahoma, appreciating the richness of the outdoors through fishing and hunting. Now Hubbard, who makes his home in Kansas City, Kan., has parlayed that childhood fascination with nature into an award-winning TV show. Hubbard’s “Urban American Outdoors” is shown locally on the Metro Sports channel several times each week. Nationally, the show has been shown on the Black Family Channel. He recently told me how he came up with the concept. “There were about 500 adventure shows out there that didn’t represent me as an African-American urbanite who enjoyed the outdoors,” Hubbard said recently. “Our focus is on showing a genre of outdoors that everybody can relate to.” The show, which was launched in August 2003, features Hubbard fishing and hunting in various settings, including some exotic ones. “I tell people I’ve had the opportunity to hang out with the boys in the hood,” Hubbard said. “And I’ve hung out with the brothers in the woods.” From time to time, he’ll even cook on his show. “I like to catch it as well as cook it,” Hubbard said. “I’ve hunted rabbits and I’ve chased elk. I’ve fished for perch, and I’ve fished for salmon.” While typical outdoors shows focus on the countryside, Hubbard comes at his from a different slant. In February, he even teamed up with the Kansas Speedway and took NASCAR racer Martin Truex Jr. and his crew chief, Kevin “Bono” Manion, hunting for a show. Hubbard has received awards for his work. He won a prestigious Accolade Award for broadcast in 2006. And he was recognized earlier this year with two Telly Awards, which recognize excellence in broadcasting. He will soon receive a Gracie Allen Award, given by American Women in Radio and Television. Locally, Hubbard is host of a fishing derby for young kids each year. Hubbard will be host of another in cooperation with the Kansas City Parks and Recreation Department and Bass Pro Shops beginning at 8:30 a.m. June 23 in Spring Valley Park. “The derbies draw kids that definitely would not get an opportunity to have that experience,” Hubbard said. Personally, I grew up watching Harold Ensley, the sportsman’s friend, each Saturday. Ensley always had a way of making the outdoors seem so inviting and so interesting. Hubbard has the same knack. He’s kind of like the Jackie Robinson of outdoor adventure. He’s broken a stereotype. 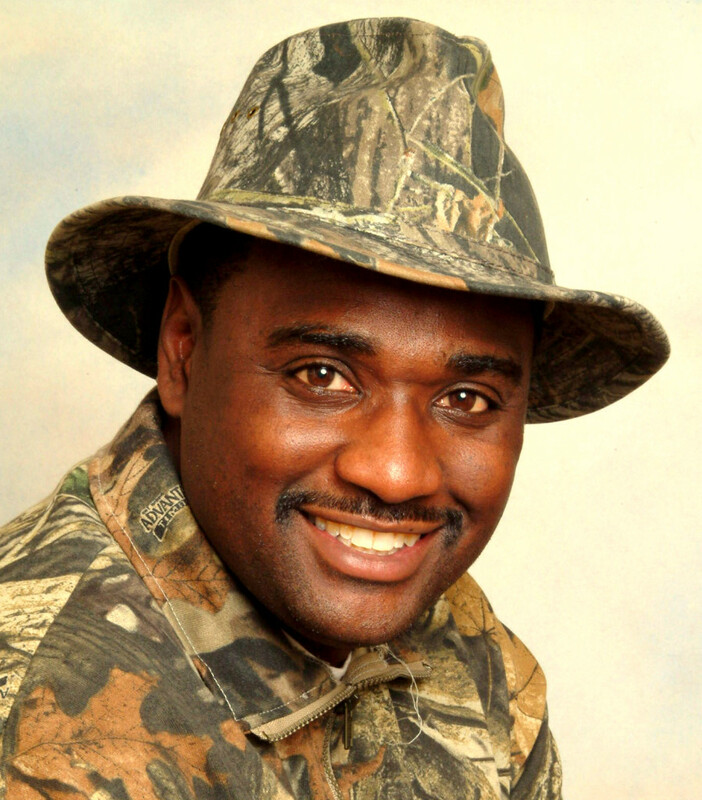 His presence on TV each week shows the nation that black people not only hunt and fish, but they can do it quite well.